From the concert hall, to the nightclub stage, to the coffee house, to the chapel... or maybe even that wonderful tiled bathroom in your home... Blackdog's ears can be there to capture all the great live magnetic air! 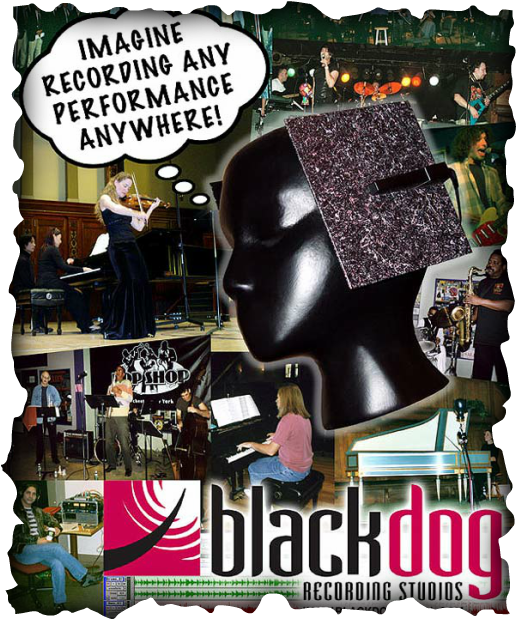 Starting with 2-tracks, on to 16 track recordings, and beyond, Blackdog features a wide variety of recording techniques and digital formats, but it's really our two decades of on-location live recording experience that will ensure the listener a front-row experience during playback. Call us at (585) 747-6689 to discuss the details of your next on-location recording project. Rates readily available upon request.